Another fabulous layout Tiiu! Love your vintage type embellies to go with the neon sign pictures! Amazing! Fun and unique photos! I love the variety of patterned papers you used on your layout! Great take on the sketch! Wow, I love, love the look of this layout!! Well done! Wow I love this too, such great pics as well! I love the grungy feel, the photos pop off the page. 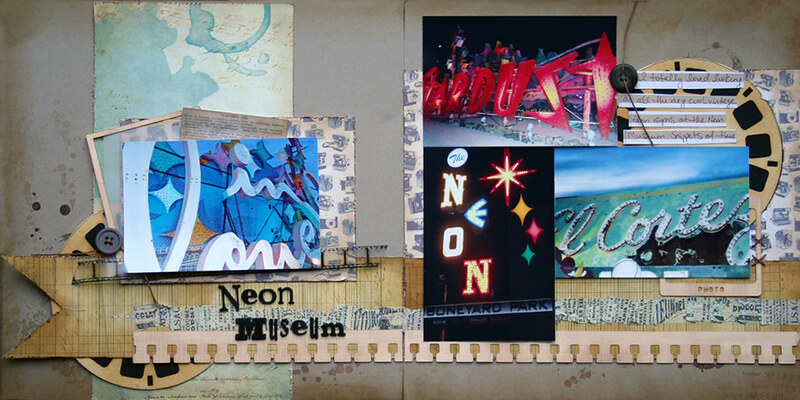 Vegas is on my bucket list and when I get there I will have to go to the neon museum. So cool!